It is a form of market manipulation. Someone hypes a coin to get others to buy it. The person(s) who hype (pump) the coin already hold a lot of the coin that they purchased for fractions of a cent. They create FOMO about the coin. People buy into the hype and purchase the coin. As more people buy, the price goes up. (the pump) The price peaks up, then the person(s) who pumped the coin sell off their large holdings for a profit. When they sell, the price quickly goes down. If you recognize a pump and dump, you can profit as well by selling off your holdings in the coin. If you do not sell, the coin could end up useless and you lose money. You just need to recognize a “pump and dump” and know when to sell. Usually, the greedy, the impatient, and the dishonest lurk around crypto-space and create pump and dump schemes for a quick profit. They are very good at it. This is how they make their money and many of them have made – and are – making millions doing it. That is why research is very important. I should mention that many coins are pumped and not dumped. One such coin was ETHOS. It was hyped (pumped) on YouTube, in Facebook groups, and other social media outlets to draw attention to what it is and what it will bring to the crypto-space. As a result, many investors – including myself – took a closer look at ETHOS and realized that it is going to be a game-changer. The hype about the coin prompted many to invest in it when the price was low and now – as of this lesson – is one of the hottest investments in the crypto-space. It was pumped but not dumped. 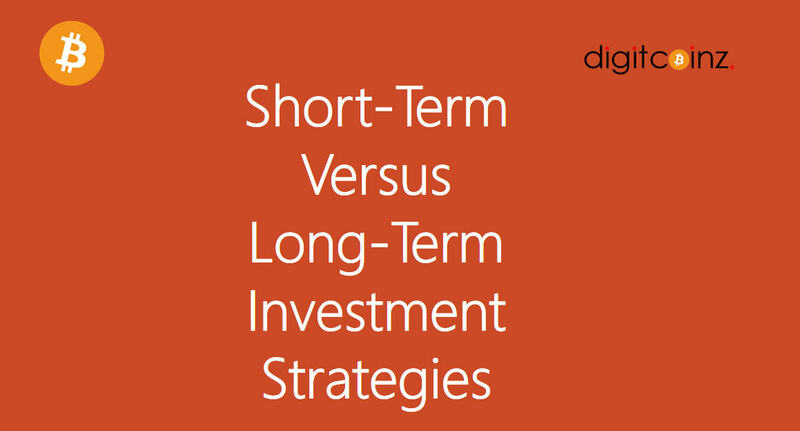 This is the preferred investment strategy but it takes patience and discipline. It can test your nerves. The long-term strategy involves researching solid cryptocurrency that you feel make good long-term holds. You buy them not for an immediate profit, but for what they will bring you in the years ahead. You buy these coins and you are not phased by the periods of high volatility, so-called crashes, or even the Fear Doubt and Uncertainty (FUD) that circulates on YouTube, Facebook, the news outlets, etc about a particular cryptocurrency. Your mindset is that you are going to HOLD (you may see this expressed as HODL) no matter what. You are going to weather the storm while other fold their hands and sell.